Did the OnePlus 5 Drop the Headphone Jack? Nevertheless, the OnePlus 5's dual camera (which is all but confirmed at this point) does look pretty sick and there are after all quite a few perks like Lossless audio and virtual surround sound associated with delivering audio via the USB Type-C port. 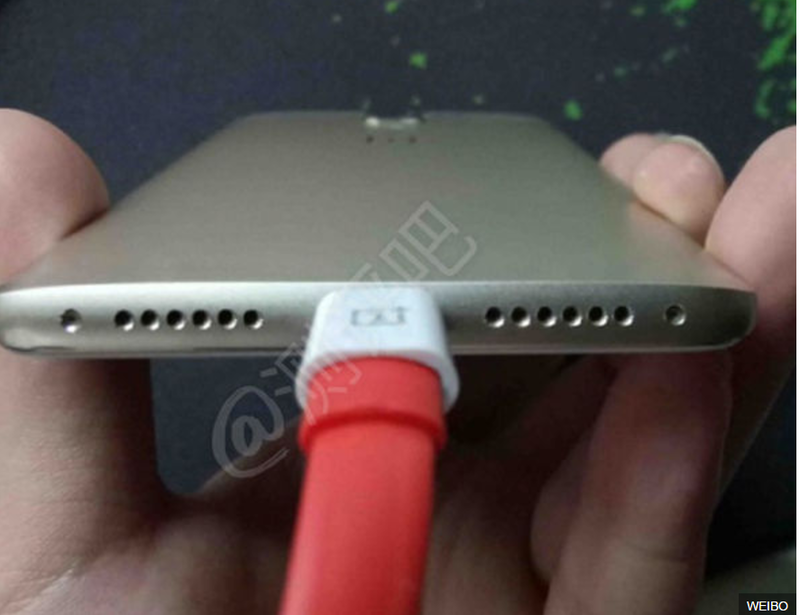 Also, just like all other manufacturers, I am pretty sure OnePlus will at least be bundling in the adapter, if not the USB Type-C headphones. I will never understand why you would skimp out on a headphone jack if you have the room, but that seems to be the norm nowadays. On a positive note, the Galaxy S8 and S8+ still does retain their headphone jacks, so you will always have the best Android flagship smartphone of 2017 (yet) to fall back on if the OnePlus 5 fails its fans. 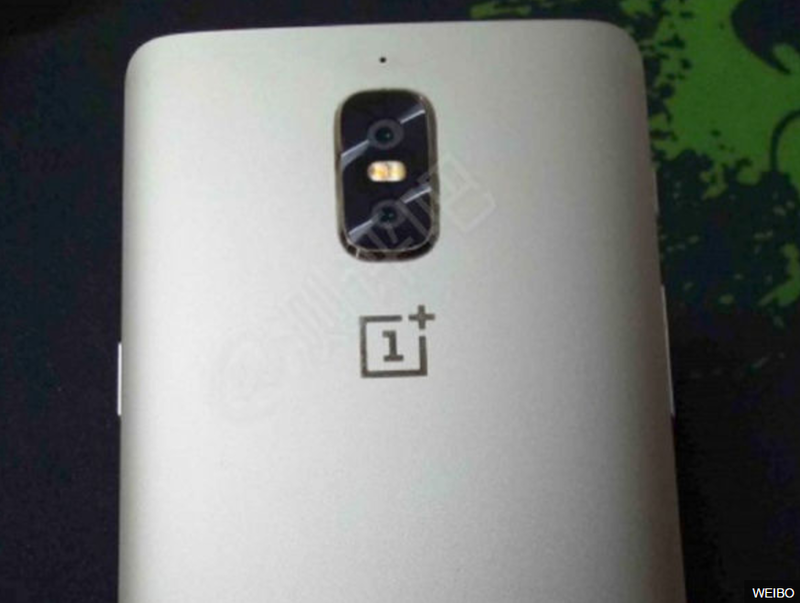 Tags: did oneplus drop headphone jack? In the most of the ads, Samsung brags about the Corning Gorilla Glass 4 panels used on the Galaxy S6 edge and it might have a good reason for that. Both the back and the dual-curved 5.1-inch Super AMOLED display have protected by Corning's latest. 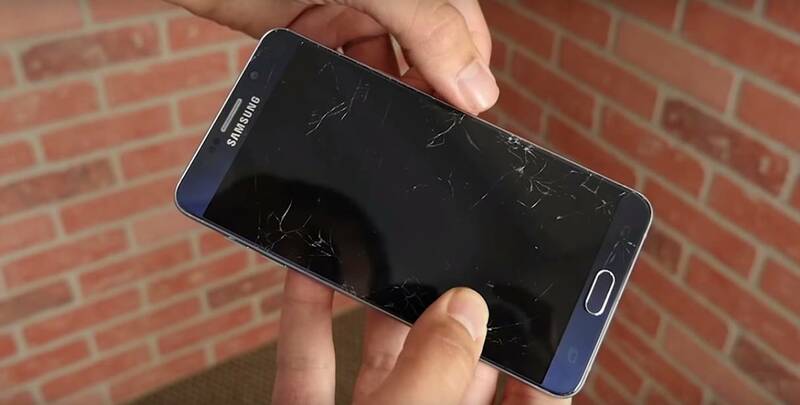 A Korean video demonstrated the true strength of the glass panels used in Galaxy S6 edge through a brutal drop test. In the video, the woman first shows the display working normally and then slams the phone three times on the floor. The result was rather impressive with the phone sustaining next to no damage. That's hardly a scientific approach to testing the toughness, but it should certainly give Galaxy S6 owners some extra piece of mind even if they do drop their new and expensive phone, chances are it won't mind too much. Samsung revealed the Galaxy Note5 last week on the Unpacked 2015 event. 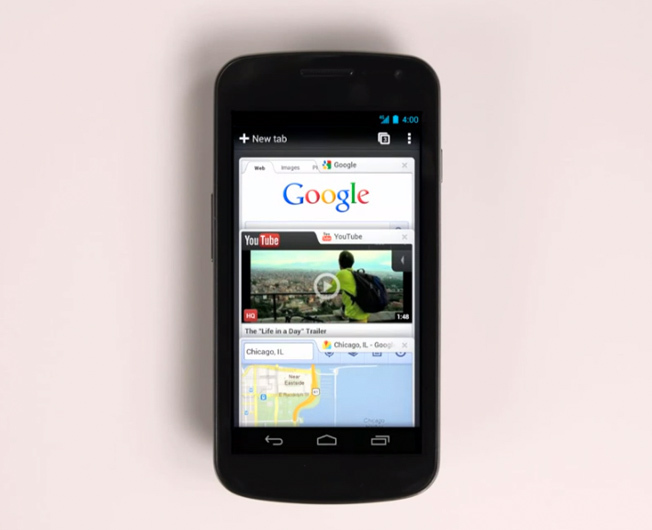 The flagship phablet doesn't pack a curved display, but it packs a curved back glass. The first Note5 drop Test YouTube video for the, shows us just how fragile the curved glass design on the Note5 actually is. A drop from around 1 meter, which is usual waist height, instantly cracked the unit's back, resulting in an extensive and nasty spider web crack. Interestingly enough, the top most layer of the back remained smooth and intact with the damage contained underneath. So, at least, there is no danger of cuts. Watch the video below! As per a report from Korea, the tech giant's CEOs' are witnessing drastic drop in salaries in 2015, something the report says is because of the struggling sales figure of the company in this year. Referring to the regulatory filing done by Samsung, the report disclosed that among the three CEOs, Kwon Oh-hyun (also the vice chairman) was paid highest salary this year - 3.82 billion Korean Won ($3.25 million), in comparison to 6.25 billion Won he received last year. Yoo Boo-keun - who handles the company's consumer electronics business division pocketed 2.34 billion Won, in comparison to last year's 3.61 billion Won. Mobile business headman Shin Jong-kyun experienced the largest cut, receiving just 2.28 billion Won this year dropped from 12.03 billion Won in 2014. The drastic drop in Salary is due to the decreased incentives, which are generally associated with the company's performance. 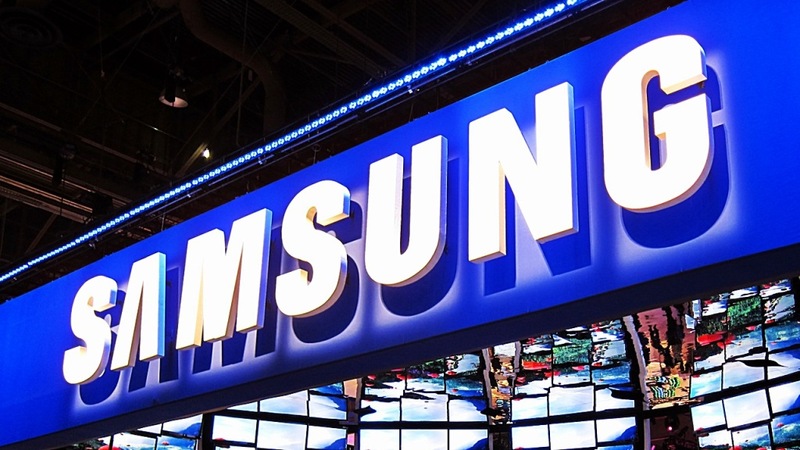 This report has come out amid speculations that Samsung is planning to cut cost by laying-off workers in managerial level. 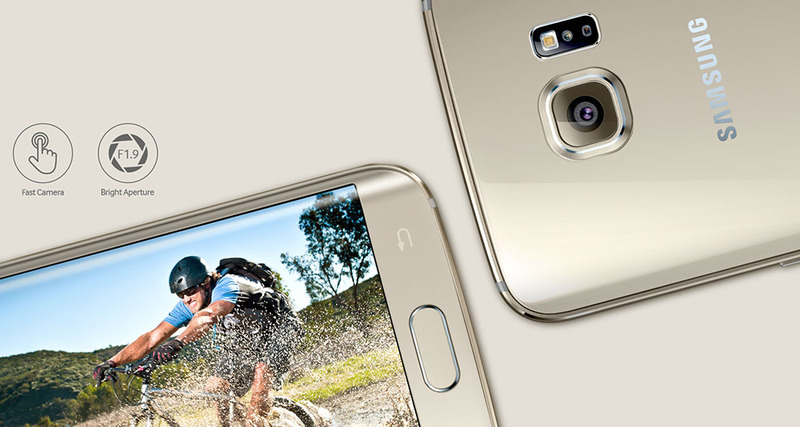 Nevertheless Samsung has put a lot of effort to produce smartphones like Galaxy S6, which has a good build quality. Probably this is one of the main reasons behind the sales boost (although it didn't make any considerable difference). 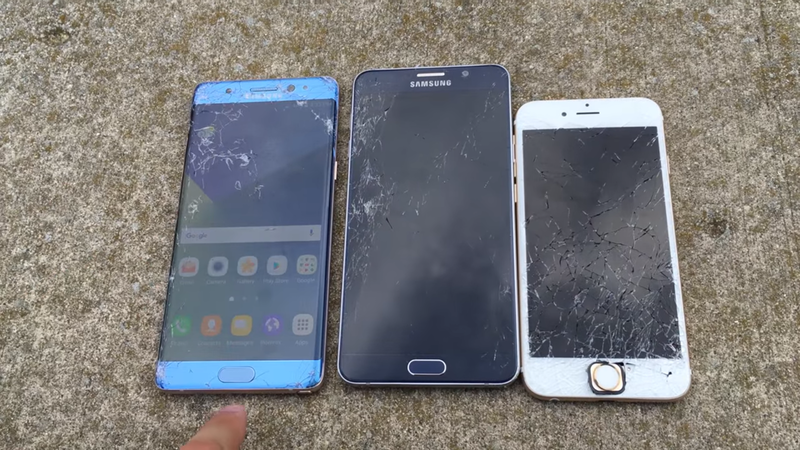 After the infamous scratch test video of the Note 7 that we saw earlier, we now have a video on YouTube that tests the smartphone's durability in a drop test and compares the results with that of the Note 5 and the iPhone 6s. We found the video on the YouTube channel of Zach Straley and this one actually checks out if Corning's claim of the Gorilla Glass 5 protected phone being able to survive falls from as high as shoulder height is true or not. The results seen in the test is encouraging to be honest, although not perfect at all. As it turns out, the Super AMOLED display of the Note 7 managed to remain functional even after it was dropped from the highest point in the series of drop tests. However, in the very first drop, the back of the Note 7 cracked, while both the iPhone 6S and the Galaxy Note 5 remained in much better shape. This led us to believe that the Note 7 isn't protected by Gorilla Glass 5 at its back, although we are not fully sure about that. After the disastrous results of the scratch test, it was good to see that Corning Gorilla Glass 5 did actually manage to provide the Note 7's display with good shatter-resistance. Phonebuff recently conducted a drop test comparison to see if the Galaxy S7 Active really is as rugged as the manufacturer makes it out to be. There were five rounds involved in the test and they were the back-drop test, the bottom-drop test, the side-drop test, the face-drop test and a bonus durability round which involved continuous drops by the test team. The S7\'s glass back gave way to minor damage on the very first round when it developed spiderweb cracks after the back-drop test. 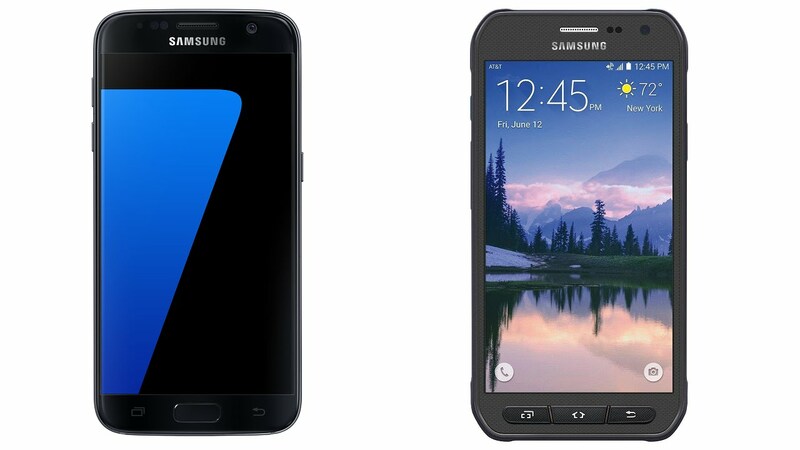 The S7 Active on the other hand, developed only a few negligible marks on its rugged back. The second round saw no clear winners but the S7 once again showed signs of injury on the side-drop test, while the Active was completely protected by its rubber casing. The S7 got completely destroyed in the face-drop test as its display shattered and cracked painfully after the drop. The Active version, confirmed Samsung\'s claim of the device sporting a shatter-proof display (from 5-feet max) by not showing even a scratch, post the face-drop. The team gave up when the S7 Active remained \"active\" after dropping it about 50-times from a considerable height during the bonus round. In fact, it could still make calls without any issues even after such a shocking ordeal! The Tougher cousin of the S7 proved that you are not going to pay the higher price of $795 for nothing, should you choose the S7 Active. It is exclusive to the US and can only be bought from AT&T. The hard-hitting device is available in Sandy Gold, Titanium Gray and Camo Green color options. 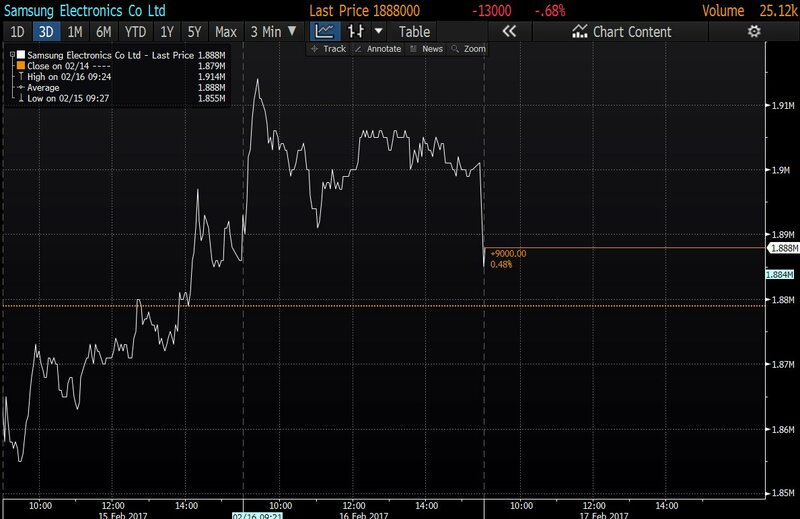 Bad news for Samsung keeps piling up as the electronic giant's shares just dropped by 1% at the stock market during busy hours yesterday. This was an obvious reaction to Samsung's vice-chairman Lee Jae-yong getting arrested hours earlier. He has been linked to bribery charges associated with the massive scandal involving President Park Geun-hye and her friend Choi Soon-sil. The court has found the evidence sufficient for it to allow the detention of Lee for up to 20 days, before indictment. As you can imagine, the shares falling is just one of many problems that the conglomerate will be facing, since their leader and soon to be chairman is now out of the picture. The good news is that this fall in share value is very likely to be only a temporary setback and actually has no relation with Samsung's business in any way. It is believed to be an effect brought on by negative sentiments towards the shameful incident. The last few months have not been kind on Samsung's reputation. After the exploding Galaxy Note 7, Samsung was hoping to build back its reputation as a manufacturer. However, the leader being convicted of white collar crimes that have affected the very economy of South Korea is not going to help that cause!